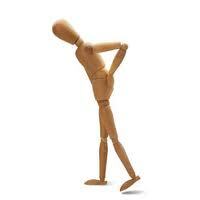 Chronic low back pain afflicts a large segment of the population. It is estimated that it ranks second only behind the common cold as a health care problem, yet it exerts a much greater toll on society from health care expenditures and pain and debility. When chronic low back pain occurs in patents suffering from the systemic effects of rheumatoid arthritis and it’s variants, it is compounded in it’s effects. Previous treatment modalities were often ineffective and carried many side effects, frequently significant necessitating discontinuation of treatment. Biologic therapy which was a pharmacologic measure to inhibit inflammatory cytokines such as tumor necrosis factor alpha and interleukin 1 beta. These disease modifying drugs were a revolution in autoimmune arthritis treatment, however they are not without potential complications and serious side effects as well. 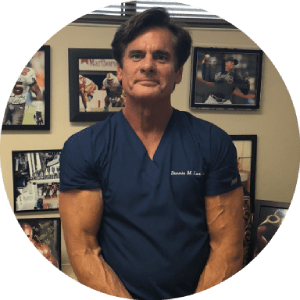 Alternate Biologic therapy such as Platelet-Rich-Plasma (PRP) uses the patients own growth factors to direct anti-inflammatory pathways for tissue healing. Platelet-Rich-Plasma (PRP) may be directly injected into the inflamed joint of the spine. The lumbar facet joints are frequently involved as it is a synovial joint. The synovium is often affected in Rheumatoid arthritis. Fluoroscopic guidance can be easily used in selectively targeting the facet joints for treatment with PRP. A fluoroscopic image shows needle placement for precise injection. Small amounts of PRP may be instilled into the facet joint. Frequently multiple facet joints are involved as there are two facet joints at each spinal level. This image reflects a patient Dr. Lox treated successfully with this technique of PRP delivery. The patient has remained asymptomatic for over 2 years, and is extremely pleased, as the low back pain had been present for many years and significantly affected activities of daily living and functional ability. Platelet-Rich-Plasma (PRP) may be a useful adjunctive treatment for arthritis and rheumatoid variants. Cases that have failed to respond to other conservative treatment measures may indeed be considered for Platelet-Rich-Plasma (PRP) therapy.